If you suffer with symptoms of uncontrolled allergies and asthma, or other immunologic conditions like Eczema, Urticaria (hives), and PIDD (Primary Immune Deficiency Disorder), or have any loved ones that do, you’ve come to the right place. Alpha Allergy & Asthma Associates is a Montgomery County, Maryland Allergy & Asthma Center. It is conveniently located directly along Route 29 (in Fairfield/White Oak). 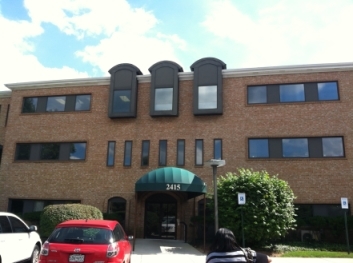 Our inter-county neighborhood location connects to 2 other counties (Howard County, Prince George’s County) within minutes. Washington DC is a mere 20 minutes away. We are led by our double-board certified allergist-immunologists, Dr. Nkiruka Erekosima and Dr. D’Jahna Akinyemi. Both physicians are double board-certified in allergy & immunology, and internal medicine. Both are well-trained, well-rounded experts, up-to-date in the latest scientific principles and medical practice guidelines. Dr. Erekosima is the past Associate Clinical Director, of the Johns Hopkins Division of Allergy and Clinical Immunology in Baltimore, Maryland. Dr. Akinyemi currently sees patients as an Allergist/Immunologist and Assistant Professor at Johns Hopkins in addition to taking care of her patients here at our allergy asthma clinic in Silver spring. Our team members are friendly, focused on your service, and fully-engaged in contributing to an enjoyable and efficient experience whenever you deal with us. When you visit our clinic, you’ll experience the benefit of our 4-part diamond practice philosophy and our unique treatment framework. Our practice is anchored on the pillars of Expertise, Empathy, Education (patient), and Excellence (team). Due to the nature of immunologic conditions, it usually takes ALL of the above to nurse patients back to optimal health and lifestyle. We respect your contribution to your own care and fully expect to be co-partner with you in your treatment and care. Excellence here is represented by our team’s abiding commitment to Education (ours and yours), Execution (clinical and administrative), Effectiveness (doing the right things, by the right values), and Efficiency (doing the right things, at the right times). Our 3P framework is Personalized (customized to you), Physician-guided, Partnership-driven treatment. Personalized – Treatment is based on a Customized Allergy & Immunology Profile (A concise biographical sketch that factors in your medical history, your physical examination findings, your allergy, asthma or other screening test results). Partnership-driven – Our doctors and staff encourage you to tell your story, convey your impressions and empower you to be be a co-partner in your journey to optimal health. The whole team is committed to clearly communicating your responsibilities as a patient, and understands such a partnership will yield the best results for your care. Need An Allergist Appointment fast? Call (301) 879 – 7700 now, or request appointment online now. Please do not send Protected Health Information via this form. Simply request we contact you.